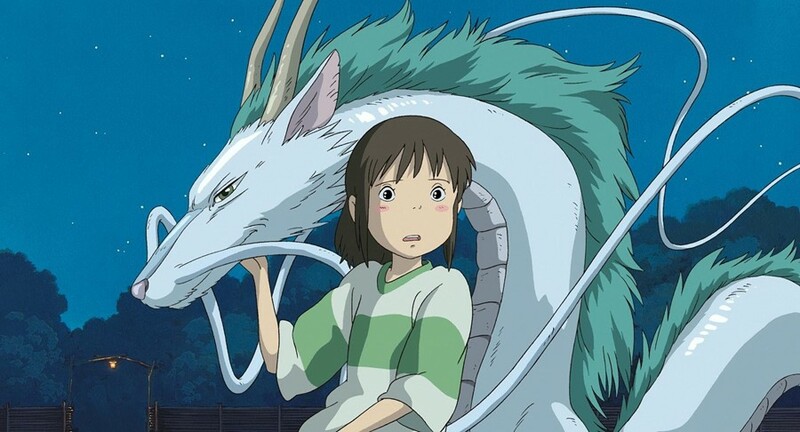 What makes Studio Ghibli so magically immersive? Studio Ghibli, the Japanese animation powerhouse, has cast its spell over wide-eyed anime audiences across four decades. This month, Hayao Miyazaki announced he would put his retirement plans on hold to grant us his final, fantastical animation, Boro the Caterpillar, once again pulling us back into the colourful world populated by Totoro, Ponyo, Kiki and Chihiro. “Their emotions will become yours,” Miyazaki once said, but what exactly is it that makes the Ghibli oeuvre so visually arresting, magnetic and enjoyable across age brackets and hemispheres? A visual essay by Asher Isbrucker, “The Immersive Reality of Studio Ghibli”, seeks to explore this. As Indiewire reports, Isbrucker illustrates that the animation house’s major asset is their “immersive realism”. Although parents being turned into pigs (Spirited Away), warrior princesses raised by wolves (Princess Mononoke) and fighter-pilot pigs (Porco Rosso) may not be the pinnacle of what we think of as ‘realism’, it’s the animator’s ability to create in-depth magical narratives that feel real because of their detail and fervour. This is what Isburcker refers to as ‘world-building’ – we suspend our belief and buy into the world of Ghibli when even the most imaginative aspects become immersive and grounded. Striking a balance between fantasy and reality is difficult, and something major animators aside from Ghibli strive to create. “Every visual element in the film must be created from scratch, there’s nothing there before it’s drawn. This is where Ghibli excels,” says Ishbrucker. “Their animators demonstrate a mastery of technique and attention to detail with every single scene, to really bring the world of the storyteller’s mind to life.” So, no matter how far-fetched the story, the world of a Ghibli film “feels tactile and realistic”. So how is this achieved? It starts with the animation of movement, which emulates the semblance of a physical world and its logic – that could be Kiki’s bow blowing in the wind (Kiki’s Delivery Service), the flickering lights of the Catbus (My Neighbour Totoro) or the laboured movement of the hulking mutant insects of Nausicaa of the Valley of the Wind. Ishbrucker also points to the illusion of running that Ghibli use, known as the detailed ‘run cycle sequence’. With Ghibli characters, running has ‘motivation’. It could be Anna’s frenzied run to Marnie across the low-tide (When Marnie Was There), or Chihiro sprinting for her life from a ravenous No Face (Spirited Away) – it’s all different. Other animations have made use of rotoscoping, a less favoured technique where animators trace over motion picture footage to create the most realistic action in their drawings – though it’s more realistic, Isbrucker argues that animations don’t have to imitate every faction of real life, but just create an analogue of it from which rules can be bent and broken to create fantasy. As Miyazaki has previously related, “animators are themselves actors”, in that they must consider their character’s motivations, as well as who they are with unspoken mannerisms and expressions. There’s also ridiculously minute detail that creates familiarity – this could be Chihiro putting her shoes on, taking her time to tap them, make them comfortable, and scramble out like the movement of a real little girl. Ishbrucker additionally takes us on a tour of the well-established otherworld in Spirited Away. Its bathouse is shown to have various job posts, areas for sleeping, a variety of soap – countless tiny details that make it seem like dozens of stories could be going on around Chihiro’s. In Princess Mononoke, the gender roles of Irontown are subtly shown: the women’s domestic lives, the men out in search of resources. Ghibli has also cemented itself as a producer of stories across the spectrum – the mature, the magical and the nostalgic. More subtle stories – including some that could be real-life, like From Up on Poppy Hill and Ocean Waves – sit side-by-side with their fantasies. This is what Ishbrucker claims shows Ghibli’s ability to expand “the coming of age of a medium” – to present anime not just as a novelty, but a true purveyor of ideas and emotions. Watch the full visual essay below.